Here are some unique products that don't really fit in our regular product categories but that we know our customers will love. 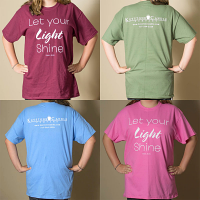 First in this new line is our Keystone Candle branded t-shirts in 4 colors and sizes ranging from adult small to XL. Wear our branded clothing and show you friends you know where to get the best candles.